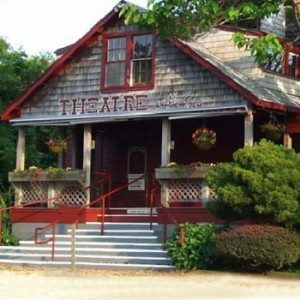 Theatre by the Sea Now Has Air Conditioning! The story could end there, as Bill Hanney, owner of TBTS, has enthused about the new development to everyone who will listen. Advance ticket sales are at an all-time high and the new rust-proof transformer outside (“all that salty sea air, you know,” explains Hanney) has something to do with it. However, the storied old summerstock palace has been steadily increasing its ticket sales every year since Hanney took over and the quality of the shows have at least as much to do with sales as does the fact that matinees will no longer be a risky venture for senior citizens or anyone else who may be subject to heat stroke. And, in addition to what Hanney feels will be the best year ever, is that new AC unit. He promises, however, that it will be used only sparingly, as required. “You do not expect to come to Matunuck and hear the hum of air conditioning at the expense of the natural sounds, but on the other hand, you also don’t want 500 seniors dying at a matinee,” he offers, (mostly) tongue-in-cheek. Musicals run Tuesdays through Sundays. 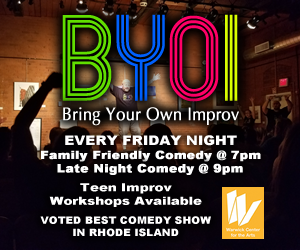 Tickets are available by phone (401) 782-8587, online at theatrebythesea.com, or in person at 364 Cards Pond Road, Wakefield. The 2016 Summer Musical Season will continue with West Side Story (June 22 – July 16), The Wizard of Oz (July 20 – August 13, and Sister Act (August 17 – September 4). The popular Friday morning Children’s Festival includes Snow White (July 8), Lucky Bob (July 15), Disney’s Alice In Wonderland Jr. (July 29), Aladdin (August 5), and Keith Michael Johnson’s Bubbleology (August 12). All shows at 10am & Noon. Next post: Beaches and Bike Paths!